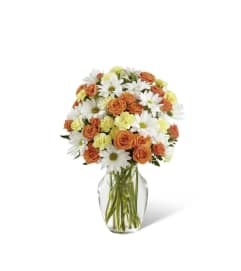 FTD® proudly presents the Better Homes and Gardens® Sweet Devotion™ Bouquet. 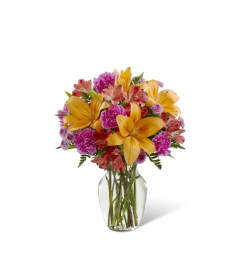 Purple is a shade that captivates the imagination and inspires, with it's fascinating cool shades of light and dark. 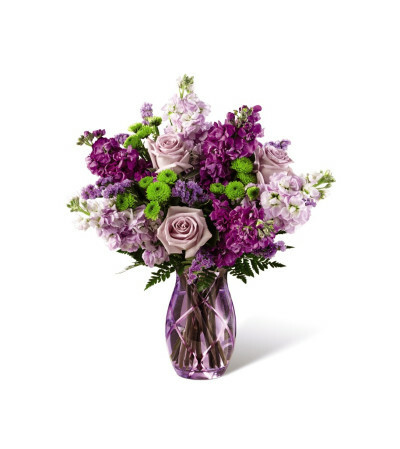 Bringing together a collection of purple's finest blooms, this enchanting bouquet offers a combination of the swirling petals of lavender roses, the fragrant stalks of purple and lavender gilly flower, and purple statice accented with clusters of green button poms and lush greens. Arranged to perfection within an attractive keepsake purple glass vase, this gorgeous flower bouquet is ready to create a special Mother's Day, birthday, anniversary, or thinking of you moment!